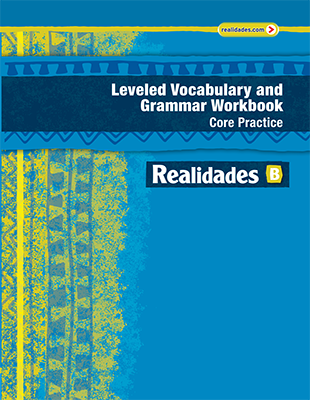 Realidades B Digital Edition ©2014 provides standards-based instruction that seamlessly integrates vocabulary, grammar, communication, culture, and digital learning. This balanced approach is built upon the principles of backward design with assessment aligned with instruction. The program features many resources for differentiated instruction that are available in print, on DVD-ROM, or online. The Digital Courseware, realidades.com, offers the newest and most powerful online learning system available in any middle school and high school Spanish program. 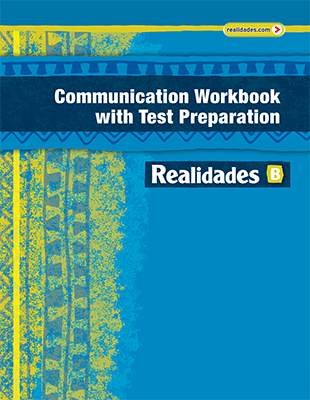 Realidades B contains the Para empezar review section plus Temas 5-9 found in Realidades 1, and is designed for one or two years of instruction in the upper elementary or middle school. This all-Spanish companion worktext provides complete support for teaching the heritage learner with Realidades. Expanded language development activities support each chapter section.